Members of the Executive Committee of the Palestine Liberation Organization (PLO), responded on Monday to the expected announcement that the United States administration will close the PLO’s office in Washington as part of a widening US pressure campaign on Palestinian officials amid stalled Middle East peace prospects. Dr. Hanan Ashrawi, said in a statement "It is ironic that the US is punishing the PLO, the national representative of the Palestinian people and the highest political body that made the commitment to reaching a political and legal settlement of the Palestinian question and that has engaged in negotiations with successive US administrations for decades." 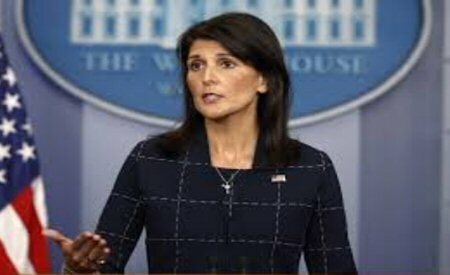 She stressed "Such irresponsible moves are clear proof of American collusion with Israel's occupation and the rewards, inducements and incentives it provides Israel, as well as a total ignorance of the requirements of a just peace based on international law and respect for human rights." Ashrawi concluded "Palestinians will not surrender and that no amount of coercion or unwarranted collective punitive measures will bring the Palestinian leadership or people to their knees." Saeb Erekat also responded to the closure in a press release "This is yet another affirmation of the Trump Administration’s policy to collectively punish the Palestinian people, including by cutting financial support for humanitarian services including health and education." Erekat warned that "this dangerous escalation shows that the US is willing to disband the international system in order to protect Israeli crimes and attacks against the land and people of Palestine as well as against peace and security in the rest of our region." Erekat was referring to the US threatening the International Criminal Court (ICC), based in The Hague, of not prosecuting any Israeli officials as demanded by the Palestinians otherwise it will be subjected to severe sanctions. "The rights of the Palestinian people are not for sale, that we will not succumb to US threats and bullying and that we will continue our legitimate struggle for freedom, justice, and independence, including by all political and legal means possible." He added "Accordingly, we continue to call upon the International Criminal Court to open its immediate investigation into Israeli crimes." Erekat called on the international community to respond to the awaited US administration’s decision, emphasizing "Lowering the flag of Palestine in Washington DC means much more than a new slap by the Trump administration against peace and justice; it symbolizes the US attacks against the international system as a whole, including the Paris Convention, UNESCO and the Human Rights Council among others." Additionally, Erekat said that the PLO will take necessary measures to protect the rights of Palestinians living in the US to be able to access their consular services. 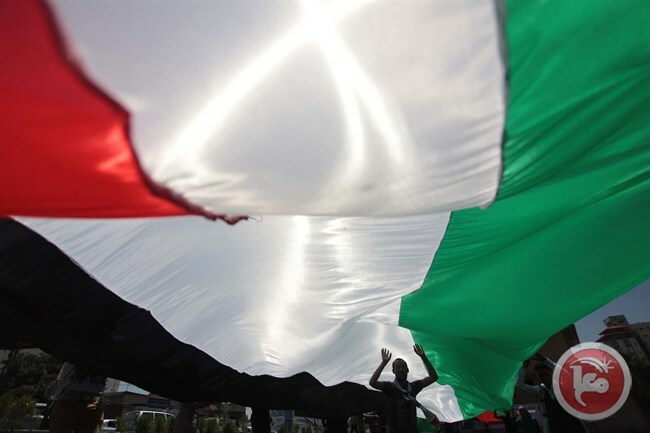 The Trump administration is expected to announce Monday that it will close the Palestine Liberation Organization’s (PLO) office in Washington, administration officials said Sunday night, widening a U.S. campaign of pressure amid stalled Middle East peace efforts. “The United States will always stand with our friend and ally, Israel,” national security adviser John Bolton planned to say in prepared remarks he is scheduled to deliver Monday, according a draft reviewed by The Wall Street Journal. “The Trump administration will not keep the office open when the Palestinians refuse to take steps to start direct and meaningful negotiations with Israel,” he planned to add. According to The Wall Street Journal, Bolton also planned to threaten to impose sanctions against the International Criminal Court if it moves ahead with investigations of the U.S. and Israel. Among the responses, Bolton says, the U.S. would ban ICC judges and prosecutors from entering the country. 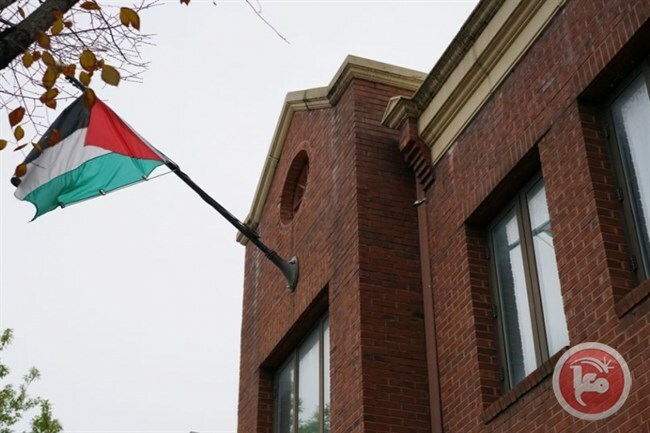 The PLO office in Washington has long been the focus of controversy. The Trump administration warned last year that it might close the office after Palestinian Authority President Mahmoud Abbas called for the investigation and prosecution of Israeli officials by the ICC and other bodies. Saeb Erekat, a senior Palestinian Authority negotiator responded at the time that such a move would undermine prospects for peace. 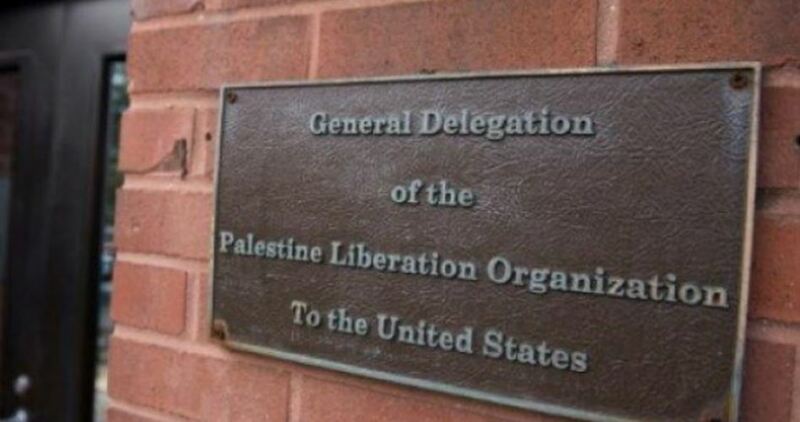 The PLO opened its mission in Washington in 1994 and joined the ICC after receiving observer state status at the U.N. in 2012. The closure, which Bolton says would be formally announced by the State Department on Monday, follows other steps by the Trump administration that have angered Palestinians, including moving the U.S. embassy to Jerusalem from Tel Aviv and ending funding for the U.N. agency that helps Palestinian refugees. “The United States supports a direct and robust peace process, and we will not allow the ICC, or any other organization, to constrain Israel’s right to self-defense,” Bolton also planned to say, according to the prepared remarks. A particular concern has been a request last year by the ICC prosecutor to investigate U.S. military and Central Intelligence Agency personnel who served in Afghanistan for detainee abuse and possibly other war crimes. In the prepared remarks planned for Monday, Bolton offers an extended critique of the court, which he asserts is rife with abuses, and vows that the U.S. will use “any means necessary” to protect American citizens and those of friendly allies from prosecution by the court. According to the same source, nations that cooperate with ICC investigations of the U.S. and its allies will also risk losing foreign aid. Other responses include economic sanctions against the court itself. The U.S. also will consider asking the U.N. Security Council to constrain the court’s authority. Responding to the US decision to cancel the $20 million grant allocated to the Palestinian Makassed hospital in occupied Jerusalem, the hospital administration on Saturday that the measure harms live-saving services and confuses political issues with medical and humanitarian ones. 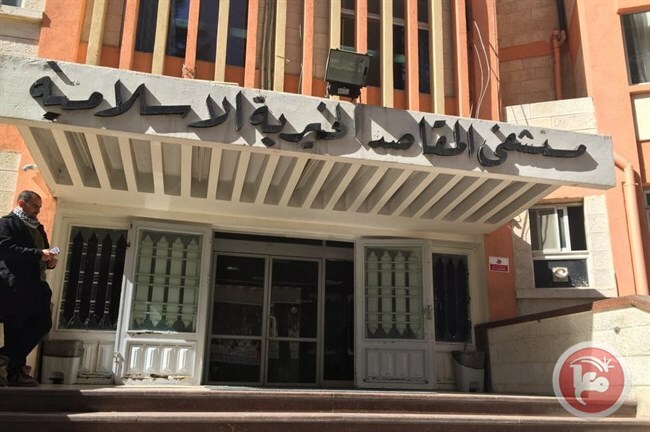 The Hospital admin said in a statement that this decision comes at a time when the hospital is facing a severe financial crisis due to the large cash flow deficit and the outstanding debts of the Palestinian government. "The hospital's share of the total US grant is 45 million shekels ($12.5 million), which helps a great deal its various departments and the provision of services for its patients who come from the West Bank, the Gaza Strip and occupied Jerusalem," it said. 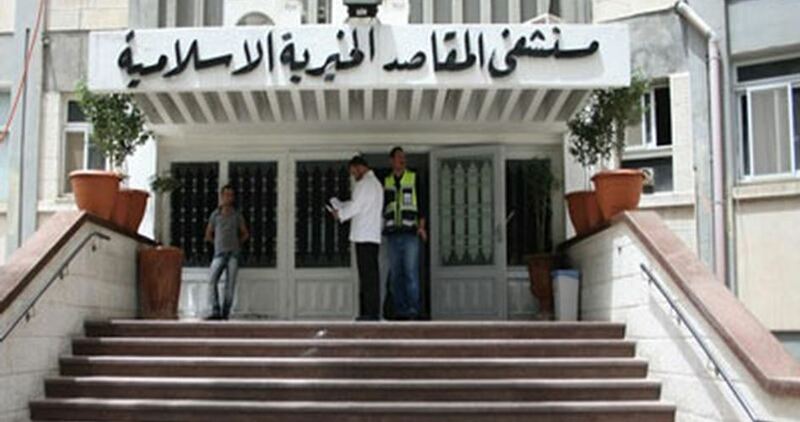 Depriving the hospital of these funds demands an immediate financial intervention from the Palestinian government to help the hospital pay the income tax, the property tax and the pension fund imposed by the Israeli government, said Makassed’s admin. The statement slammed the US move, which it said makes part of US attempts to pressure the Palestinians to accept its dictates. The aid cut is the latest in a number of sanctions by the Trump administration that have stirred the anger of Palestinians, including the recognition of occupied Jerusalem as Israel's capital and moving the US embassy to occupied Jerusalem from Tel Aviv. "This is not a formula of peace-building, this is a complete inhuman and immoral action that adopts the Israeli right-wing narrative to target and punish Palestinian citizens to compromise their rights to independence," AFP cited a Palestinian official as stating. Human rights groups also condemned such an act of “political blackmail”, which they said goes against the norms of human decency and morality. The Palestinian Ministry of Foreign Affairs condemned, on Saturday afternoon, the United States' decision to cut aid to Palestinian hospitals in occupied East Jerusalem saying that the US has "crossed all red lines." The ministry said in a statement that "the new US policy aims to liquidate the Palestinian cause under false and meager pretexts through the so-called 'Deal of the Century'." The US announced, earlier on Saturday, that it will cancel $20 million in aid to Palestinian hospitals of occupied East Jerusalem. "This dangerous and unjustified American escalation has crossed all red lines and is considered a direct aggression against the Palestinian people, including the humanitarian aspect since it threatens the lives of thousands of Palestinian patients and their families, and could affect the future and livelihoods of thousands of employees of these hospitals." The ministry said that the decision is "morally bankrupt and inhumane that rarely happens even by the most oppressive and totalitarian regimes in the world." In its statement, the ministry called upon the international community to take a stand from "American injustice" against the Palestinian people and their rights. The ministry also urged the international community to make up for the US decisions by allocating direct assistance to the Palestinians. The United States announced, on Saturday, that it will cancel $20 million in aid to Palestinian hospitals of occupied East Jerusalem. A US State Department Official told Israeli news outlet Haaretz the decision against the hospitals is part of the administration's broader approach of cutting Palestinian aid and investing it in other priorities. The decision comes weeks after the US had announced that it will cut all funds to the United Nations Relied and Aid Agency (UNRWA) and the cut of $200 million for economic and social projects for the Palestinians. Haaretz reported that "the budget cut could cause harm to at least five hospitals in East Jerusalem, including Augusta Victoria hospital near Mt. Scopus and the St. John Eye Hospital, which is the main provider of eye treatments for Palestinians in the West Bank and East Jerusalem." "There was indication of the influence of Christian groups supporting these hospitals earlier this year, when congress approved the Taylor Force Act, which put severe restrictions on U.S. funding for Palestinians." Addressing a conference of Jewish leaders in the US on Thursday, President Donald Trump admitted that his goal is to use US funds to get the Palestinians to surrender to his terms. 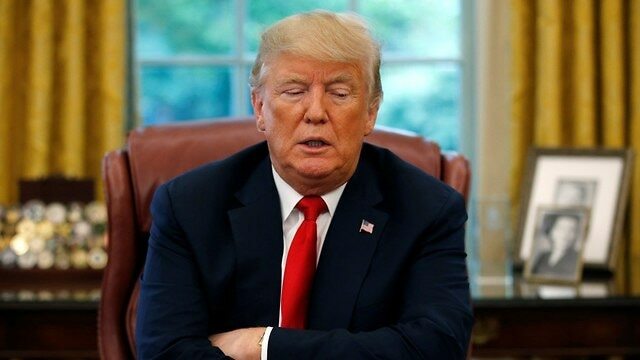 US President Donald Trump said, on Thursday, that the aid cut decision was to pressure Palestinians to return to UN-led negotiations with Israel. "I told them, we're not paying you until we make a deal. If we don't make a deal, we're not paying." Dave Harden, a former U.S. official who was in charge of USAID in the West Bank, warned, on Friday, that the decision could lead to the "collapse" of Augusta Victoria hospital. Augusta Victoria and other East Jerusalem hospitals not only serve the Palestinian population of the city, but also Palestinians from Gaza and the West Bank, including cancer patients and children. President Donald Trump said on Thursday that the US would not renew its transfer of funds to the Palestinians until they agreed to come to the negotiating table with Israel to end the decades-long conflict. The Trump administration recently announced it would cease to provide any financial aid to the United Nations Relief and Works Agency (UNRWA), which the US and Israel have accused of deliberately bloating the number of bona fide Palestinian refugees. “What I will tell you is I stopped massive amounts of money that we were paying to the Palestinians and the Palestinian leaders,” Trump said in a 25-minute conference call with rabbis and Jewish leaders ahead of the new year festival of Rosh Hashanah. “The United States was paying them tremendous amounts of money. And I say, ‘You’ll get money, but we’re not paying until you make a deal. If you don’t make a deal, we’re not paying,’” he said. Trump’s son-in-law Jared Kushner and the US Ambassador to Israel David Friedman also participated in the call. “I don’t think it’s disrespectful at all” for US aid to be used as leverage, Trump said in response to a question posed by Harvard law professor Alan Dershowitz. “I think it’s disrespectful when people don’t come to the table,” the president continued, according to the Jewish Insider. Asked by Dershowitz whether the Jewish community could be optimistic about his ability to bring about a peaceful resolution to the conflict “that we pray for all the time,” Trump responded categorically. “I think the answer to that is a very strong yes. I really do believe we are going to make a deal. I hope so. It would be a great thing to do,” he said. “I am a very proud father of a Jewish daughter, Ivanka,” Trump said in his opening remarks, adding that he’s also proud Jared Kushner. UNRWA was founded in 1949 after the first Arab-Israel war—the War of Independence—in the wake of the exodus of around 700,000 Palestinian refugees. Israel argues that UNRWA perpetuates the Palestinian refugee problem by grossly inflating the number of genuine refugees. Trump also spoke about the Iran nuclear deal from which he withdrew in May, which he has repeatedly described as the "worst deal." “They should thank us profusely for what we did. We gave them $150 billion. Even crazier sounding to me is that we gave them $1.8 billion in cash. If anybody knows what $1.8 billion in cash looks like, I’m still trying to figure it out. They took the money out of banks from three major states and they didn’t have enough, so they ended using banks from other countries to get them the money. It was the craziest deal," Trump said. Praising the "tremendously positive impact" that his withdrawal has, Trump said "I think Israel feels a lot safer than they’ve felt in many, many years." "I can only say from the standpoint of Israel, what I did was a great thing for Israel. And what I did was also a very good thing for world peace, because everywhere we went—especially in the Middle East—where there was a problem, Iran stood behind that problem," the president said. U.S. Ambassador Nikki Haley said, on Tuesday, that she has read the Trump administration’s much-anticipated Middle East peace plan. And while it is “getting close,” it will not be rolled out later this month, during the U.N. General Assembly, as some had predicted. Haley, who is also a member of President Donald Trump’s cabinet, said she couldn’t “say enough good things” about the proposal and warned that “there are a lot of false statements” circulating about it. She added that the proposal would only work if both sides would hear it, and urged the international community to put particular pressure on Palestinian President Mahmoud Abbas to come to the table. The Trump administration has seen its relations go from bad to worse with the Palestinian Authority, peaking in December over the White House’s decision to move its embassy from Tel Aviv to Jerusalem. The Palestinians have also been infuriated with the administration’s decision to cut off funding to the U.N. agency that assists Palestinian refugees and efforts to redefine who is a Palestinian refugee. Some observers say the United States is using the cutoff as leverage to force the Palestinians to negotiate a peace deal with Israel.